The Squeak is the affectionate nickname for our local newspaper, the Argyllshire Advertiser, which has a great line in malapropisms. I’ve decided this needs an occasional series all of its own, so here begin the Squeakings. 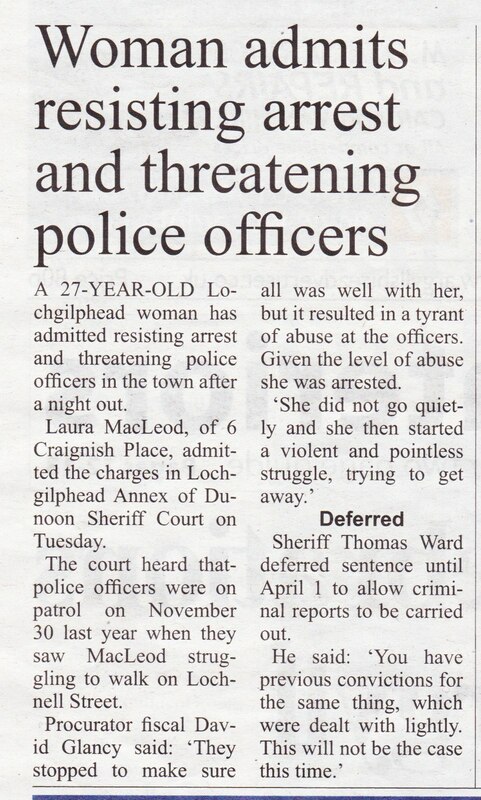 This entry was tagged Argyll, Argyllshire Advertiser, grammar, humour, Squeakings, The Squeak, typo, tyrant. Bookmark the permalink.